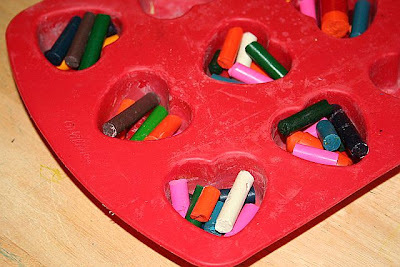 I'm bracing for another pencil delivery via three backpacks next Valentine's Day. If you are contributing to this delivery, I do thank you. 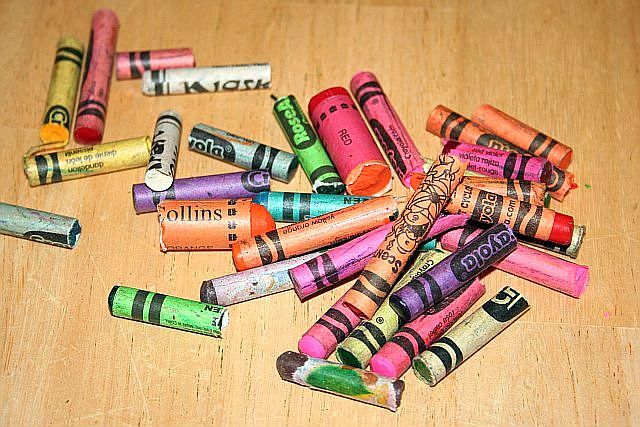 Even though I have a million of them, pencils don't expire. I guess I can take a few dozen more. I might use them to build a shed. 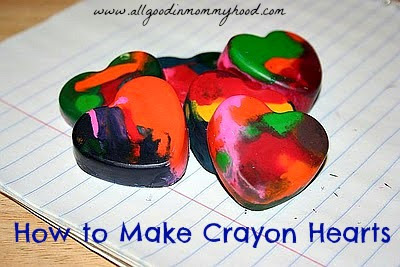 For homemade Valentines adhere heart crayons to a cut piece of card stock. Add a super corny but cute message such as "You melt my heart" or "You make my days more colorful." Valentine's Day is the ultimate in cheesy punch lines. It's fabulous. This time of year, with the frigid temperatures and my desire to hibernate until it all goes away, meatloaf is the perfect dinner. 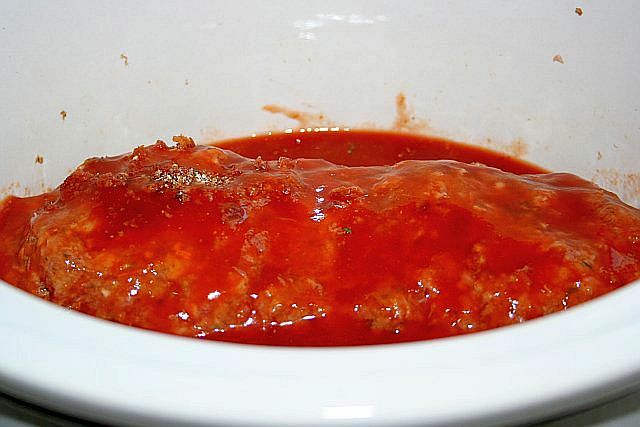 A few years ago I tried making my meatloaf in a crock pot (or as some say, slow cooker). The heavenly aroma filled the house for hours, and it made dinner all that much more enjoyable. If you need a meatloaf recipe, or are looking for something new to try, I promise you will not be disappointed. 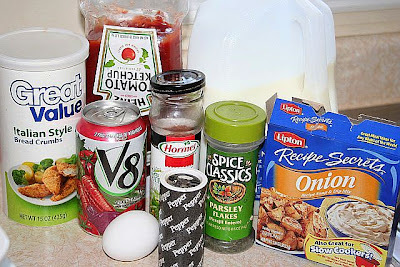 In large bowl, mix first 8 ingredients. Use your hands. They will freeze. It's all part of the meatloaf making experience. Place in crock pot, and sprinkle top with bacon bits. Use as much as desired. Pour can of V8 juice over top of meatloaf. Continue to pour until meatloaf is 1/2 immersed in V8 Juice. Place lid on crock pot and bake 4.5 to 5 hours. I usually monitor the meatloaf and adjust setting if needed. 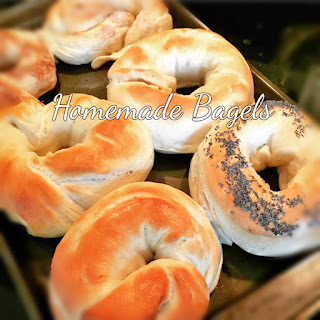 I bake on high for 4 hours and then set to low for last 1/2 to 1 hour. An unwritten law when making my meatloaf is that you must make mashed potatoes as a side. 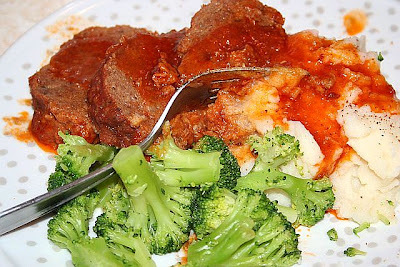 The V8 Juice makes for a scrumptious meatloaf sauce to drizzle over the mashed potatoes. This past week, everyone seems to have Powerball fever. The stories on the yahoo front page, the articles in the newspaper, the news and all the morning shows are featuring this huge jackpot. I've read articles on what to do if you win, what the odds are, how much the winner will take home, whether annuity or lump sum is better and even how to handle office lottery pools. It's madness. I'm still buying a ticket, but it's madness. When the jackpot grew to over a billion dollars (can anyone else say that without an image of Dr. Evil?) I turned to Hubby and commented that no one needs that much money. No one. Lump sum, annuity...it's more than anyone would ever need. I realized that with that kind of dough, my kids don't need to go to college or find a trade. They wouldn't ever need to work. That alone scared the crap out of me. What happens when the reality of needing to succeed in order to make a living is gone? Spanish grades? Who cares. Being a part of clubs and activities? Why bother. It's all too easy to lose the desire to work hard. Teaching my kids to still bust their butts will rapidly climb to the top of my "to-do" list if I ever came into that much wealth. The hardest part, in my opinion, with winning that much money is not losing yourself. When you can have anything you want, and not ever have to work for it, that's a frightening situation. Financial planners and lawyers will be top priority, but so will finding a way to retain some sense of who you are. For me, it all boils down to this...I'm already rich. I have family and friends that money could never buy. Every day I work for 7.5 hours and I make nada in the grand scheme of things. But I work for it, it's mine. That small paycheck buys haircuts for the boys and Auntie Anne's when the mood strikes. Would I love to build my own house and buy a SUV? Of course. For now, my minivan will do. I'm playing, I'm game. I would love to take care of my family and my kids and my kids' kids for years to come. But if I come up short? I'm still a winner. And that kind of comfort money could never buy. I just posted yesterday how I'm not big on resolutions. Every day I go to bed and reevaluate how I did as a mom, friend, daughter and wife. My radar isn't off 364 days of the year and then on New Year's Eve it turns on and scans through all the improvements I need to make. Not how I roll. Too much pressure. Even though I'm not a resolution gal, I do find myself exhausted and ready for healthier food in January. The holidays take their toll and post Christmas I take a good hard look at myself and I know it's time to crack down. The pants are tight, the skin is dull. I haven't exercised in months and I start to look ahead to spring. Isn't that what winter is all about? Magic and lights and wonderfulness all December and then January through April stinks worse than monkey farts. True story. 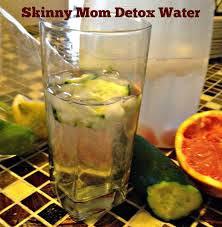 I found this detox water on Skinny Mom, and I decided it was just what I needed. I know I don't have the willpower to detox on raw food or juice for days. But a water to cleanse the system and flush some of the December toxins? Sign me up. 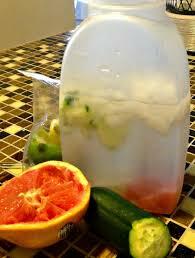 I whipped up a gallon of this today, and it was pleasantly refreshing. I drank only this water from the time I woke up to late afternoon. When I drank my first glass my rings were snug on my ring finger...you know that feeling? A few hours later I had peed about 6 times and my rings could have slid off they were so loose. Even better? I'm actually laying in bed craving more - which makes me excited to get up and detox again tomorrow. 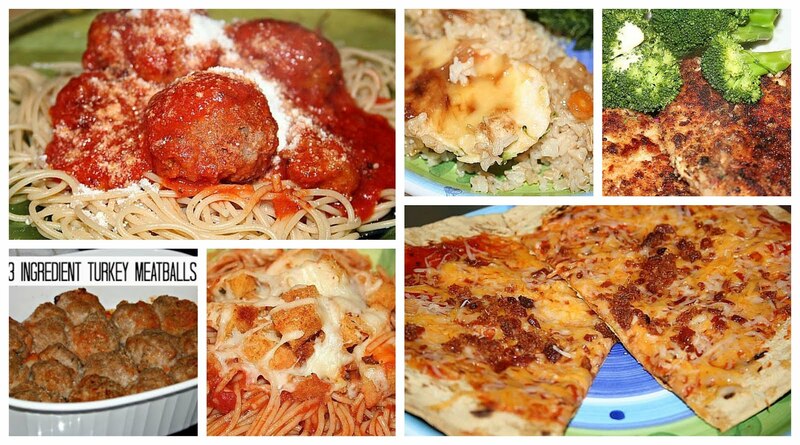 When I find something I love I always share...I don't know Skinny Mom (although she seems pretty snazzy) or have any incentive to post this recipe. I recommend discarding leftover and making fresh every morning. Skinny Mom has nifty pitchers with fruit on one side...I just make it all together and drink away. It’s been a long while. I unplugged from everything but a few Facebook scrolls and Instagram peeks. I didn’t email, didn’t blog. I didn’t even text that well. I’m back at work. It’s a cruel slap in the face after eleven days of sleeping in past 6:45am. We had mornings the house was quiet enough to hear a pin drop until 10am. It was heavenly and refreshing. The Christmas décor is down, the laundry pile is manageable and we even “renovated” a bedroom for my oldest. He officially has his own room, with a bigger bed and newly painted walls. Overall, Christmas break was just I needed. A break. Every January I see and hear people all around me making their resolutions. Diets begin. Exercise programs kickstart. More money is supposed to be saved and patience is going to appear. I get it. It’s a new beginning for many of us that we so badly need. 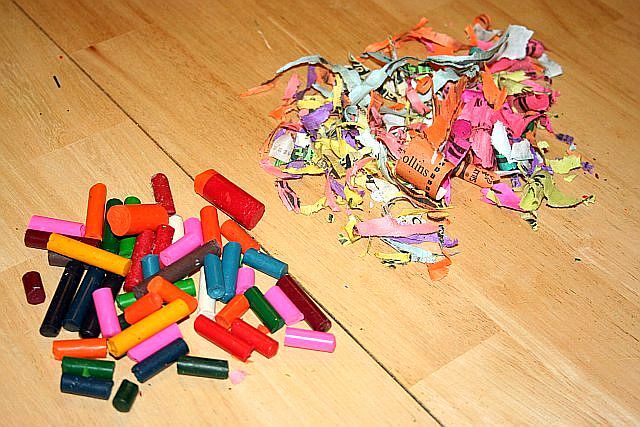 I just don’t do resolutions. I’m still recovering from Christmas and reveling in the peace that comes with snuggling my kids in pajamas. Winter is a time I have a wonderful excuse not to go out (it’s freezing) and I can just be. I can focus on my kids and my house. I can also try and focus more on myself. I’d like to think that by gaining more time, I do eat better. I am more inclined to exercise (at home of course). And those months I didn’t exercise? I needed the time off. By having more time, I gain more peace of mind. It’s a wonderful way to start a new year. I can appreciate resolutions, and I do have a renewed sense of self and a desire to do better. I just don’t like to make a hard and fast list of what I am going to do better. It’s daunting. I like to creep along, making small changes where I can. No need to scare myself and make my days more exhausting by overhauling my entire life. No can do. Slow and steady wins the race, and maybe by this time next year I’ll have made a few small improvements. Maybe I’ll still be in the same place. The thing is, it’s okay. I’ll continue to creep along, chipping away at anything I want to improve upon. One day, I’ll get there. For now I am really enjoying the pajama snuggling and only leaving the house when necessary.